Germans enjoy seasonal desserts, and rhubarb compote is a simple solution for using fresh rhubarb in mid-spring. Use deep red stalks to produce a beautiful, garnet-colored sauce. Take care not to use the leaves, as they're toxic. Serve this tangy-sweet compote on its own or drizzled over a scoop of strawberry or vanilla ice cream. Cut the rhubarb into small chunks. Add to a medium-sized, nonreactive saucepan, along with the water and sugar. Bring to a boil, then reduce heat to low and simmer until the rhubarb is softened and falling apart. Stir in the lemon juice and serve on its own or over ice cream. Adjust the amount of sugar to fit your personal sweet tooth. Add a stick of cinnamon and 5 or 6 whole cloves to the simmering compott to give it added richness of flavor. 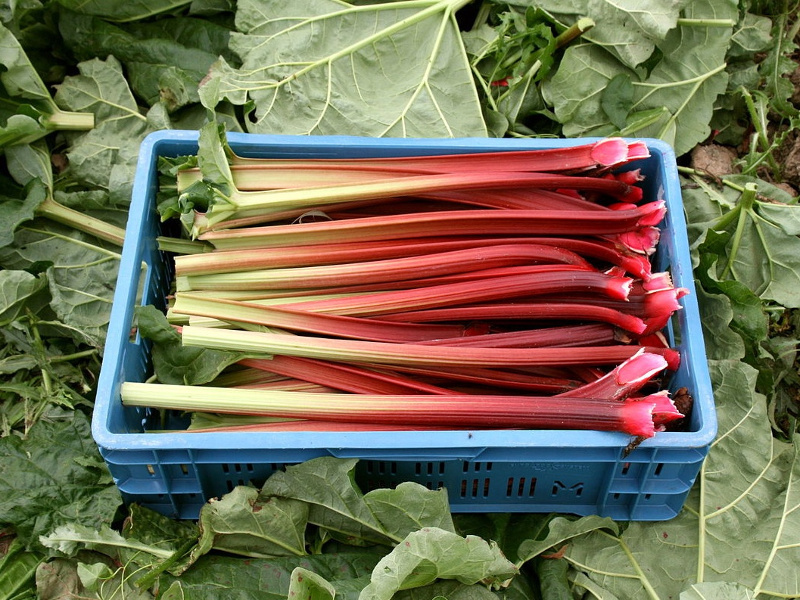 Rhubarb compote also makes a great topping for sweet crepes, pancakes and waffles.